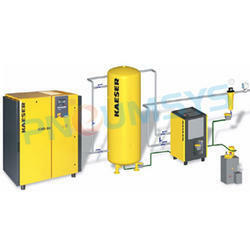 KAESER Air Receiver is an important link in the compressed air chain: as storage media or buffers for peak load demand. With Kaeser air receiver, you are always on the safe side technically: because we look at the overall system, we focus on perfectly matched easy installation and comprehensive range of accessories. Kaeser Air Receiver are an important link in the compressed air chain: as storage media or buffers for peak load demand.